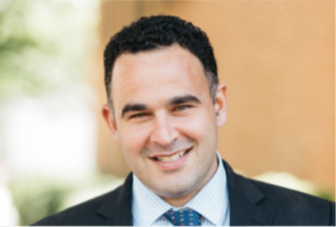 Author and marijuana expert Kevin Sabet, Ph.D will deliver a talk about facts and myths surrounding pot from 7 to 8:30 p.m., Tuesday, March 5 in New Canaan at an event organized by New Canaan Parent Support Group. Kevin Sabet, Ph.D will speak Tuesday night in New Canaan. His talk, “Reefer Sanity Debunking the Myths About Marijuana” takes place at Saxe Middle School Auditorium, 468 South Ave. in New Canaan. Please visit NCParentSupportGroup.Org to register. Sabet is author of Reefer Sanity: Seven Great Myths About Marijuana, now in its 2nd edition. He is also a consultant and was advisor on drug policy to three U.S. presidential administrations. In 2013, Sabet co-founded SAM (Smart Approaches to Marijuana) with Patrick Kennedy. Hosted by the New Canaan Parent Support Group, this event is sponsored by Aware Recovery Care, Caron Treatment Centers, Clearpoint Recovery Center, Mountainside Treatment Center, Newport Academy, Silver Hill Hospital, The Lighthouse, Turnbridge and Westport House. We meet every Thursday, 7 to 8:30 p.m. at St. Mark’s Episcopal Church, 111 Oenoke Ridge, New Canaan.